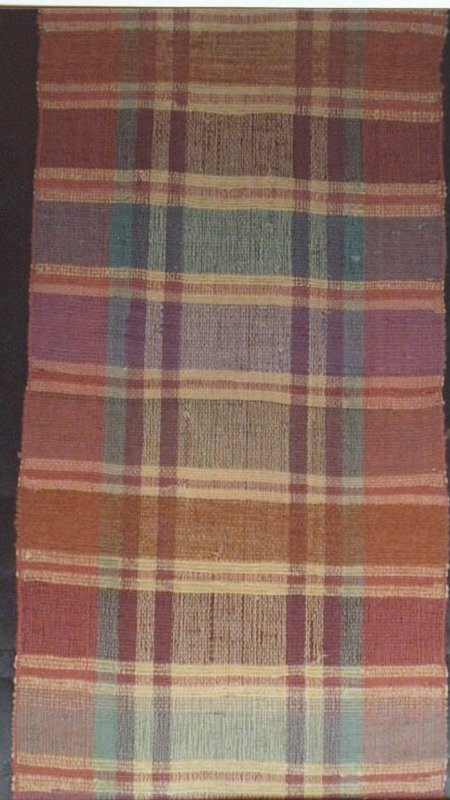 Hot tropical colors of fuschia, caramel, yellow, turquoise, violet that are so unusual in a woven rag carpet. Bold artful plaid that resembles the summer-y madras plaids we are so familiar with. There is enough length to cut in half and create a 6' squarish area rug when sewn together, which we can do for additional fee. One dslight weaving catch, otherwise great unused condition.